Tom and Sarah Sterrett of Paxico are happy to announce the engagement of their daughter, Melissa Sterrett, to David Anderson, son of Melody Anderson of Wamego and the late Fletcher Anderson. The bride-to-be graduated from Wamego High School in 2009 and attended Emporia State University for a few semesters before returning to Wamego. She is currently employed at Kaw Valley State Bank in Wamego. Melissa is the granddaughter of Joann Williams of Lawrence and the late Max Williams and the late Bill and Dorothy Sterrett of Eskridge. The future groom graduated from St. Marys High School in 2000. He attended Highland Community College, then Bethany College before returning to Wamego. He was then in the U.S. Air Force from 2007 to 2012. He is currently employed at E & R Machine in Wamego. David is the grandson of the late Jean and George Gibson of Holton, the late Shirley Anderson of Topeka and the late Nels Anderson of Atlanta, Ga. 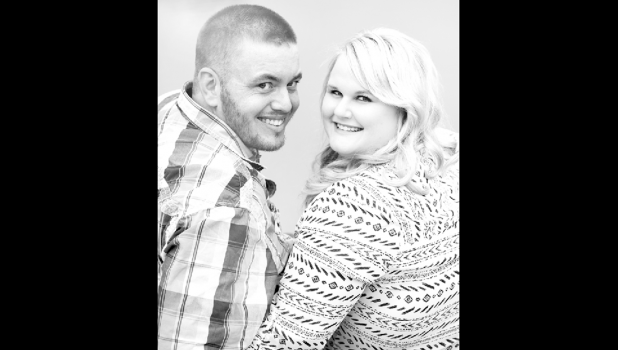 The two plan to wed on May 21, 2016, in the Wamego City Park with a reception to follow in Newbury.